I used to buy into the whole “sore today, strong tomorrow” idea. I distinctly remember what it felt like to not being able to walk down the stairs after “leg day”, and also remember the feeling of not being able to breathe deeply without my ribs hurting after a particularly brutal WOD consisting of wall walks and thrusters. My body was not happy, and I was so very inflamed. No matter how you slice it, exercise does create inflammation. Yes, it is “stress,” but it’s a stressor that the body can benefit from, if you take the time to recover well afterward. These days, it’s rare that I get significantly sore from a workout, yet I continue to gain strength and flexibility. That’s because unlike other exercise programs, T-Tapp helps eliminate inflammation as it is created throughout the course of your workout by kick-outs, lymphatic pumping, and stretching the fascia. So instead of letting the lactic acid and inflammation sit in your muscles, creating that intense soreness you might feel the next day, you pump it out as you go along. Occasionally, I will overdo it, like last week when I taught a 2 1/2 hour T-Tapp Clinic the day after I had walked 4 miles carrying my 10 month old most of the way. So, what to do when you feel creaky and sore? Whether you’re an athlete or a busy Mom, here (in no particular order) are my top recommendations to help you refresh and rebuild after a long day on your feet or an intense workout. When you work your muscles, you create micro-tears in the muscle fibers. They have to rebuild and repair themselves each and every time! Eating a high-protein snack after your workout will help you build up that lean muscle mass. One of the very few times I recommend a lower-fat choice is in the post-workout window. Fat can slow down digestion, so making a leaner choice, such as turkey breast, will ensure it gets to those muscles ASAP. If your workout has been especially grueling, feel free to add in a whack of carbs (like my favorite, sweet potato!) to help replenish your muscle glycogen. Simple? Might sound like it, but hydration can be a reason for muscle stiffness! Anytime my muscles start to feel “creaky-crunchy,” I know it’s time to get in more water! Dehydration can affect not only your muscles, but your fascia too, leading to that taught and uncomfortable feeling in the muscles. Add a pinch of sea salt or mineral drops to help your body put that water to good use! Studies have shown that the most effective way to absorb magnesium from Epsom salt and/or magnesium flakes is via the feet. A magnesium chloride foot soak is ideal for rapid, intensive transdermal magnesium supplementation. Yes, taking an epsom salt bath is great and very relaxing, but sometimes you just don’t have the time! Add in some baking soda and/or sea salt to your foot soak for extra detoxification benefits. This is my new favorite recovery tool! Have you noticed you still have “stuck” or tight places in your muscles, no matter how much you stretch pre and post workout? Conventional stretching alone will NOT help fascia become “un-stuck.” Sue Hitzmann’s specific sequences will help you rehydrate the fascia in the areas that need it most, bringing comfort and fluidity to creaky joints or tired muscles. I like how I can zero in on a particular area of focus and that I can tailor it to my day-to-day needs. Click here to view Sue’s YouTube Channel to learn more and to watch how it’s done! An anti-inflammatory spice that is a well-documented way to decrease inflammation and pain in the body. If I’ve had a long day or intense workout, I will often take a double or even triple dose to head off any soreness. It really works! You may have seen pro athletes with these pads stuck to their muscles. This battery operated device sends electromagnetic pulses through the muscles, strongly contracting first and then subsequently relaxing them. A perfect tool for those with muscles that get tight after a workout or for those with spasmatic muscles. I bought mine at the drugstore for under $50 and it has served me well thus far! If your muscles tend to cramp and become sore easily, you may want to look into supplementing on a regular basis with magnesium. There are many different forms of magnesium, and you can try a topical spray, such as Ancient Minerals Spray magnesium, or take it in capsule form, like Magnesium Glycinate. For muscles in particular, I have seen Magnesium Bisglycinate to work wonders for relaxing tightness in the body. This ancient technique has a host of modern-day benefits. In fact, Michael Phelps created a buzz when he utilized this technique during his 2016 Olympic appearance. Cupping therapy uses gentle vacuum suction on the skin to loosen the muscles, encourage lymphatic flow, and relax the nervous system. It can also help break up distorted fascia, and is especially effective at bringing hydration to dry and crusty fascial adhesions and/or scar tissue. You can use them in a sauna or shower with oil, gliding over any tight spots. There are many tutorials online available for beginners. I have a simple, one-piece silicone set from Amazon, however, you can find many different kinds, including a set you can suction to your comfort level with a hand-pump. I'm now taking on new clients! Click here to learn more! Contact me for more info on T-Tapp or to chat! Join my group on Facebook for more information on special events and local classes! What is the Most Common Nutrition Misstep? As a Nutritional Therapist and certified T-Tapp trainer, I get asked many different questions about food and nutrition. I’ve also looked over my fair share of food journals. It didn’t take long for me to notice one commonality shared by the vast majority of women I have worked with over the years. So, what was the most common nutrition misstep of women I counseled between the ages of 18 and 65? Surprisingly, the biggest roadblock hindering their success wasn’t “failing” to eat enough fruits and veggies (though arguably, we could always use more.) It wasn't even failing to consume enough dietary fat, which is a common problem. The vast majority of women that I have worked with over the years were severely under-eating, and nearly all of them were doing it unintentionally. These women were of all shapes and sizes and came from many different health backgrounds. I remember my first client so well. I was surprised to learn that after asking for 3 days of typical food intake, my client was eating an average of 1300 calories a day. Alarm bells went off in my head. A SMALL CHILD requires roughly 1200 calories of day. For goodness sake, this was a full-grown human AND she was doing Crossfit 4 days a week! The symptoms were clear. It’s like her body was screaming, “GIVE ME MORE FOOD, WOMAN!” I know this may sound elementary (and it is!) but actually consuming enough calories, enough units of energy, is crucial. More crucial, perhaps, than over-analyzing every bit of food that is taken in. If I am working with a woman who is already mindful of what she is eating, then it is especially important that she takes in enough of the food she so mindfully prepares. The following is a scenario I see quite often. A client comes to me saying she is struggling to “lose weight.” She feels guilty and concerned about food intake as a result and winds up averaging 1300 calories a day. Her metabolism plummets, her cortisol (stress hormone) levels rise from lack of calories and her already stressful lifestyle. She eats a lot on the weekends because she just “feels hungry all the time” and is then decides to “rein it back in” on Mondays. She feels as if she "just looks at a cupcake" she will gain weight. Of course, exactly how much energy a person’s body might burn up is bio-individual and unique. And lest you assume that I am saying something along the lines of, “A Calorie is a Calorie,” science has shown us that all calories are not created equal. You can choose for it to be full of nutrients that nourish your body in addition to being a unit of energy for the body to burn up for fuel. It's not an "either/or" situation. Both quality and quantity matter when it comes to food. Calories, the more nutrient dense the better, and lots of ‘em, is what your body craves. It's necessary for stress management, for repairing muscles + managing inflammation after a workout, for healthy skin and nails, for growing and feeding another human, for the energy to manage your home and/or business. But, all is not lost. Thankfully, unlike the many complexities of the nutrition world, this one is a fairly easy fix. You eat more! Yay! And that's not as difficult as you may think. Depending on your needs, it may be as simple as adding a little more food to each meal, such as eating 4 scrambled eggs instead of 2, a whole avocado instead of a half avocado, sauteing your veggies in 2 tablespoons of coconut oil instead of 1/2 tablespoon, etc. Sometimes, especially if you have been unknowingly under-eating for a while, it may not be enough to simply go by your hunger and fullness cues, at least initially. As with chronic dehydration, where the body down-regulates the signal that triggers thirst, the same thing can happen with hunger and fullness cues. However, your appetite will return after you begin to intentionally eat a more appropriate level of calories. I have had clients take anywhere from days to weeks to get their hunger signals working again, but I've yet to have a client who has attended one of my classes NOT get their hunger and fullness correctly calibrated. As such, it can be helpful to keep track of how much you are eating each day and roughly how much you are burning up each day in the form of exercise, whether formal or informal (and yes, chasing a toddler counts!) Especially if you T-Tapp, you'll really want to pay attention to this, as it burns much more calories than traditional exercise and keeps your basal metabolic rate higher for hours afterwards. I can feel some of my readers bristling at the suggestion of having to TRACK something. I completely understand, as that was my initial reaction in the beginning. However, when done for a short period of time, it can be a helpful tool to determine if you are coming close, or are missing the mark from a numbers standpoint. When it comes to food, it's not an "either/or" situation. If we are at all interested in our overall health, we ought to be considering both the quality AND quantity of the food we are taking in. This is personal for me because I have seen firsthand just how much of a difference it can make. Over the past 4 years or so, I've changed quite a bit. I went from working out strenuously every single day while eating like a rabbit to working out more efficiently using T-Tapp....while routinely out-eating my husband. It is interesting to note that at least for my body, if I do not eat enough, I get physically bigger. My clothes get tighter, and I feel more inflamed. As of this writing, I am 7 months postpartum and have been breastfeeding exclusively. For my readers who may be a Mom or for those who are preparing for Motherhood in the future, getting in enough food during this time is especially important, as the need for enough nutrition before, during and after pregnancy is absolutely vital. It is not a time to "cut calories," no matter what the mainstream media may tell you. Ironically, the gender that has been created with the honor of being able to bear and nurture life is the very same one that our culture comes after with a scale and talk of "weight-loss diets." Are we at all surprised that as a culture, women are led to believe they must eat less? Women's bodies do things (like having babies!) that require LOTS of nutrient-dense calories. You'll notice that this post is focusing on women under-eating and that I don't really mention men. I work primarily with women so on that point, I can speak with more authority. While men definitely can under-eat, particularly those with very active lifestyles, I think it is much less common than it is for women. As with everything else going on in the body of a bio-individual human being, finding out how much to eat isn’t a cookie cutter sort of process. Yes, there are calculators out there for finding your basal metabolic rate, however, I am not here to give you an exact formula. I only want to encourage you to discover what works best for you. Journaling can be helpful as you discover your "sweet spot." Did you notice irrational anxiety cropping up after you had a stressful morning at work and subsequently skipped lunch? How about a dragging feeling by 2 pm after you rushed out the door without breakfast that morning? Notice what your body is saying to you! Under-eating, whether intentional or not, is detrimental to the body. Taking the time to figure out your own unique “sweet spot” for balancing the calories you take in and the calories you expend is so worth it. You may be surprised to find that many issues with energy, mood, even your outlook on life stem from the quality and quantity of nutrition you choose to put into your body. Today, we have a very special guest post from my fellow North Carolinian and T-Tapp Trainer, Georgia Simonson! She lives in Statesville, NC and is very knowledgeable in the areas of health and fitness. Not only is she a Certified T-Tapp Trainer, she is also an ACE Certified Personal Trainer! I hope you enjoy this piece as much as I did! There are 11 Organ Systems in the human body. They all function together to maintain a beautiful state of equilibrium called Homeostasis. However, three of the systems seem to interact more closely, and for us T-Tappers one has becomes synonymous with the workout itself. I’m speaking of the lymphatic system and its reliance on the circulatory and respiratory system. In the circulatory system arteries, arterioles, capillaries, venules and veins carry and return blood with its many components to and from the heart and lungs. Excess fluids in the capillaries leak out, and a watery solvent called Interstitial Fluid pools in these areas. This fluid contains the waste products from the cells that the blood picks up. It contains sugars, salts, fatty and amino acids, hormones, neurotransmitters and white blood cells. Most interstitial fluid returns in the blood via the circulatory system, but about 10% is collected by the lymph vessels and enters the lymphatic system. Once it is processed in the lymphatic system this newly structured fluid is put back into the blood stream as Enhanced Lymphatic Fluid via the subclavian vein near the neck and right shoulder. The key words above are enhanced lymphatic fluid. That’s our goal! To return clean fluid with all of its disease fighting properties back to the body. So, where there are blood vessels circulating to organs and tissues, you will find lymph tissue, vessels and nodes closely beside them aiding in fluid balance, fat absorption and in immunological defense mechanisms of the body. Your lymph cleans, balances and fights for you. While the circulatory system has the involuntary muscle contraction of the heart and the smooth muscle of the vessels to pump the blood, the lymphatic system must rely on voluntary contractions of the skeletal muscles and the smooth muscles of the lymph vessels to squeeze the lymph. Another odd way for lymph to move is the pressure variance created when we breathe. This is where the respiratory system come in. Liquids flows from a point of high pressure to low pressure, so does your lymph. When we take a breath the volume of air in the lungs increases, but the pressure inside the lungs, also called Intrapulmonary Pressure, decreases. This pressure along with other negative pressures between the lungs and thoracic cavity aid in the movement of the lymph. More on that later. Shallow breathing is not the lymphatic system’s friend. Now, how many of you don’t really give it your all when Teresa Tapp says, “Inhale…Exhale”? I’m brought to a newer lever of appreciation at this simple cue especially during the second part of Primary Back Stretch. She instructs us to do this no less than four times in one minute! Another bonus move for the lymph while breathing is the “shoulder hunch and inhale” movements. While found throughout all of the T-Tapp workouts, it is a core part of the First Steps Fascia Fitness and Turn Back Time workouts. Rib expansion aids in lung volume and easy of breathing. By hunching your shoulder to the ears you are elevating the ribs, clavicle and scapula upward creating pressure variances making it easier to get a superior and quick inhale into the lungs. This air phenomenon happens naturally in the body. Atmospheric pressure outside the body is constant…it rarely changes. As we inhale, intrapulmonary pressure falls below atmospheric pressure, allowing the air to take that path of least resistance and easily fill the lungs. The diaphragm contracts, pressing downward and allowing even more space for the lungs. The opposite happens during exhalation. The diaphragm expands, pushing upward on the lungs. Pressures now are greater in the lungs, and the air goes out easily following its natural course to the lower pressure of the surrounding atmosphere. But there are two more pressures to learn about. They are called the Intrapleural Pressure and Transpulmonary Pressure and both deal with negative pressures in the body. Intrapleural pressure works between the lungs and the thoracic cavity with negative pressure to keep the lungs near the chest wall and expanded...very important! There is a whole fascinating world of elastic response with the thoracic area and the ribs that I’m not going to get into. Just realize the body is “Fearfully and Wonderfully Made”. Transpulmonary Pressure is part of the deep filling of the lungs to reach the air sacs or alveoli, and it works in a negative pressure to saturate the large surface area of the alveoli. All these pressures work together to create resistance and pressure for the lymph to move. There’s more to come about the lymphatic system. I felt this was a nice practical place to start. I had no idea that breathing stimulated the lymphatic system! So, next time you get a cue to hunch, inhale and exhale, you’ll hopefully think of the air that you breathe and that someone truly does love your health and her name is Teresa Tapp! But, before I dig into what it means, we first need to understand the difference between weighing & measuring, and "fat loss" vs. "weight loss." I always encourage clients to keep their measurements so that they have a point of reference and can track their progress over time. As a trainer, it's helpful for me to look at these measurements to determine where they might be inactivating during their workout. Then, together we can make changes to get them activating the muscles even better! Yes, muscle weights more than fat--you've heard it all before-- but I'm going to attempt to really make the case for you on why you don't need to fret about a number on the scale. Let me be the first to say, the tape measure will tell you things the scale NEVER will. Just as a personal example, I lost close to 20" in my first 60 Day Challenge in 2014...including 4 inches off my waist- and didn't lose any “weight” at all, according to the number on the scale. Yet, my clothes were gaping like crazy and I needed a new jean size! Can you say, muscle density?! I was building deep core muscles at the same time that my body was burning up fat! That was when I started to change my view of the whole concept of "weight loss." For years, I had this number in my head that I thought I needed to be at. This experience during my first 60 Day Challenge, where the number on the scale had stayed the same, but my body was totally different, didn't square with what I thought was true about weight loss. This led me to the realization that at the end of the day, the number on the scale does NOT tell the whole story, and quite honestly, I don’t care at all about how much I “weigh” anymore. I like Teresa’s illustration best. A model’s calling card is NOT some arbitrary number on the scale- it’s her measurements, and how she looks in the designers’ clothing line! Many who want to "lose weight" to get a lower number on the scale go on a diet, which usually involves some level of caloric restriction. Yes, this does cause "weight loss," but it usually involves losing some precious muscle mass along with the fat tissue, especially if you are dieting without exercising. Muscle is more metabolically active and burns more calories at rest than fat tissue does. This means that over the course of a restrictive diet, your metabolism will lower two-fold: from the lack of calories, and having less muscle mass. So, what happens when you reach your "goal weight," get off your diet, and go on your way? You have trouble keeping the weight loss off because your metabolism has slowed and your appetite is through the roof from all that caloric restriction. With T-Tapp, you can actually boost your metabolism, build lean muscle, and burn off the fat- no calorie restriction needed. When you measure consistently, you'll also notice more subtle changes, like one side of your body evening out with the other due to the equal muscle activation T-Tapp gives you. This is why we say that T-Tapp “balances imbalance.” I've seen some crazy stuff, y'all! Muscles re-balancing, stomachs shrinking, and nerves waking up after being long dormant. So, when you start doing T-Tapp, your muscles do some MAJOR cinching in, like a corset (get it? Core-set?) and the now-liquefied fat has nowhere to go but "up." To illustrate this: have you ever worn Spanx, or body shape-wear of any kind? After you put them on, the extra fluff squishes in and up, and you have to "smooth it out." Ladies, you know exactly what I'm talking about here, am I right? This is similar to what happens in the body when you start activating those muscles with T-Tapp. They cinch in, like Spanx, and the fat has nowhere to go but up, on top of that muscle. This is especially true of the tummy muscles. Your core muscles go all the way from your pubic bone to just underneath your sternum! So as an example, if your belly has been hanging low, the muscles underneath are going to do some major reshaping and LIFTING up back into place! This comes from curling the core properly and lifting those ribs to activate lats and get space between the rib and hip. There is also Fascia all over the frontal abdominal plane, as shown in the photo below (it's the tan colored stuff!) Thankfully, Teresa builds in comprehensive fascia stretches along with her compound muscle activation throughout T-Tapp! If you are T-Tapping consistently, measuring every few weeks, and find that you are losing fairly evenly until all the sudden, you see a gain in your ribs, waist (or even, your belly has totally shifted, and that is throwing off measurements) do NOT panic! First off, sometimes the measuring tape doesn't even tell the whole story. Truly! Sometimes things can be shifting around so much that you might see a weird gain, and later, when you measure that same spot, you'll suddenly go down several inches. I know for myself that at one point, the tape was showing a gain in my hips, yet I was able to pull on a pair of pants that I previously wasn't able to fit in comfortably. Can't explain it, but it does happen! Now that I've got that caveat out of the way, let's dive into some tips to help with a "Fat Shift!" Go back to the Instructional section of your DVD for a week or two to really hone in on your form or schedule a form check with a trainer. We tend to store the most fluff where our muscles are inactivated. So if you activate the muscles, you burn the fat! Consistency + Good Form = Goodbye, fat shift! "That's crazy!" you might say, "I bet you gained that back! It's water weight!" Nope! Matter of fact, I rested from workouts for 2 solid days afterwards and lost even more inches in the days following the retreat. And for the record, it is 2017, 2 years later, and I've maintained ALL those inches I lost 2 years ago. Talk about a cumulative effect! Notice that the fabulous Trisch Richardson was my measurer! Check out the T-Tapp channel on YouTube for tips on how to get better form, or contact a trainer to schedule a session. Even 1 session can make a huge difference in your form! If one of my clients has good form and is being consistent, the next place I’d look at would be their workout frequency. I also tend to look at their nutrition habits, because of my Nutritional Therapist training, but that's another discussion for another day. I like to say that a step forward for one person might be a step back for another person. For some people, doing a workout every single day might not be conducive to inch loss, especially if there are other stressors going on in their life. Remember, lack of sleep and not enough calories count also count as stressors, unfortunately! This can be especially true if you are doing a full workout every day such as Total, Ladybug, Senior Fit, etc. If you are feeling puffy, getting extra muscle soreness, or even notice a “fat shift” going on, try going to an every other day schedule, with one day taken completely off. Give that a try for a week or two. It might be the missing piece to making some progress on your goals! It’s all about finding that sweet spot for yourself that doesn’t land you on the couch, but also gets you enough muscle activation to burn the fat and cinch in those muscles. It might take some trial and error, I know it did for me! It might feel very counter-intuitive, but LESS is MORE with T-Tapp! So, that's probably all you ever wanted to know about Fat Shift, and also why I don't bother with a number on the scale. If you are in the midst of a "fat shift," it may feel discouraging at the time, but at the end of the day, it is a GOOD sign. it means you are creating change down to your very muscle fibers! You can connect with me on Instagram, Facebook, or contact me directly! Such an important, yet tricky subject! How you you develop consistency as you work towards your fitness goals? I know this might seem to be oversimplifying things, but I find that most individuals will veer more towards one or the other. Read the descriptions below to see what you think. It's worth mentioning that you can certainly be a blend of these two, in which case you can benefit from the suggestions given to each. Planner Types like to schedule things and keep track of details like WHEN, WHERE and WHAT. They are efficient, logical, and tend to take charge. When they do something, they tend to do it 110%. They DON’T typically like the idea of splitting up workouts, or taking many days off if they are in hot pursuit of their goals. They can also be somewhat of a “Type A” personality. Because of this, they can sometimes override their bodies’ natural cues for rest and recovery and as such, can wind up either burnt out or overtrained. Spontaneous Types are just that- free spirited, and go-with-the-flow! The opposite of rigid, they don’t fancy rules, templates, or being limited. They are more laid back, and tend towards a more relaxed approach to their goals. Because of this, they need help being consistent, and not to let their mood or feelings get in the way of their aspirations. They need help realizing their goals to create something that gives them freedom and flexibility, all while helping them keep an overall level of consistency in their endeavors. #2 Fight the urge to feel like you have “failed” when you have to change or alter a part of your carefully crafted plan due to reasons you didn’t expect. The only way you can fail is to throw up your hands, say “I can never make this work because of _____!” and just give up on all your goals and never try again. Having an off day doesn’t make you a bad person. Pick it up the next day, right where you left off. The nice thing about T-Tapp is it WORKS, even if life throws you a curveball! This is where it helps to begin to learn flexibility and kindness with yourself. #3 Make sure that the changes you plan to make are sustainable. As a planner type, you are more likely to make huge, sweeping changes that will last a week or two, but you won’t be able to keep it going in the long run. Some Planners do well with “baby steps”- small changes that lead to big results when applied with--you guessed it!-- consistency. Others thrive on adding several things to focus on for a chosen period of time, i.e. getting to bed at a certain time, eating better quality calories, or doing at least 3 T-Tapp moves per day. #4 Determine whether your goals come from an Internal vs. External motivation. There will be a lot more about this on my next post, The Secrets To Motivation. #5 The next one is very important: Listen to your body! Life happens to all of us. If you didn’t get enough food, went to bed super late, had a stressful situation come up at work, recovering from a sickness, be gentle with yourself. Don’t think that because you had a long, stressful day and you decided to prioritize getting enough sleep over your regularly scheduled workout, you will quit T-Tapping. As we know, stress releases cortisol, which among other things, can cause you to gain weight around the waist and abdomen. Also, just one night of too little sleep will cause some degree of insulin resistance** which means your fat loss endeavors will be very difficult the next day. #6 On a personal note, I used to think that if I had to miss my workout, the world was going to end. Of course, it's not! :) I recall one instance of going to bed VERY late, with a busy schedule laid out for the next day, wherein I would not have time to fit in my planned workout. I then had the bright idea to get up at 6:30 AM to get my (weightlifting) workout in. My “gym” was on our back porch. But, nonetheless I stubbornly worked out…..in the dim light….in 45 degree weather. I felt like I had been hit by a truck the rest of that day. Not my smartest moment of self-care! This was before my Nutritional Therapy course that taught me so much about adrenal health, so I like to think I didn’t know better. #7 This is one that I feel is applicable to either "type." If you choose to split a workout up, either over the course of a day or over 2 days, don't listen to that voice that says, "You didn't do ALL of that workout, therefore it doesn't count!" NOT true! Doing "Ribs Up" during your day counts. Doing half of Healthy Hormones for Menopause Management counts. Doing a set of hoedowns after your biggest meal counts. Doing half of Senior Fit counts. You get what I'm trying to say. I sometimes joke that T-Tapp time is like dog years. In my opinion, 15 minutes of T-Tapp is equivalent to AT LEAST double that time of traditional exercise! ** Donga E, Van dijk M, Van dijk JG, et al. A single night of partial sleep deprivation induces insulin resistance in multiple metabolic pathways in healthy subjects. J Clin Endocrinol Metab. 2010;95(6):2963-8. #1 Variety, variety, variety! There is a T-Tapp workout for every mood! Get a nice CD case to hold all your DVD’s. Set them next to your DVD player. When you feel the urge to move that body, pick the one that calls to you. Since you are a spontaneous type, you may have trouble doing a workout that you planned to do in advance, because another one is really calling to you! Some days, you might only have the time and energy for a shorter workout. Other days, you might be feeling more inspired to take on a longer workout! When you can clearly see what you have--and appreciate the variety of time lengths, moves and styles--you are MUCH less likely to get bored or disinterested with your T-Tapp routine. A "short" workout is better than nothing at all! #2 You might be “that person” that decides that you want to try the instructional to your new DVD the MOMENT the mailman drops it off. Meanwhile, in the same week, you might wake up one day and feel totally disinterested- and that is ok! Like Teresa says, "just do what you can, and you will ALWAYS get results." You can take that one to the bank! #3 This brings me to my next point: Learn to start separating how you feel, from how you perform. This is how athletes think, and they are some of the most highly motivated people on the planet! They also have goals that are way bigger than just the shape of their bodies, which is a subject that I'll be digging into in a future post. My experience as a competitive swimmer for 9 years of my life taught me this lesson. Yes, I did NOT always feel like using my time on a Saturday morning to train for my meet, but my personal goals of being stronger, faster, and to get better times at that swim meet next month was my primary motivation. #4 As a spontaneous type, you might not always FEEL like doing your chosen movement for the day. How many of us have stuck the DVD in the player, turned it on, and while the DVD sets up, we go on our phone “to check Facebook” and then 30 minutes later, the menu options are still staring us in the face, and we are still on Facebook and/or checking our email? This is real life!! IT HAPPENS! I get it. The secret? To feel that very real lack of desire for your workout, and just DO it anyway. Simple as that. Mind over matter! You will feel SO much better for it, believe me. I have never, ever regretted completing a workout, but I have regretted stopping before I had even started. The best T-Tapp workout for you, is the one that you will DO! An important side note: remember that there is a real difference in "I just don't feel like I want to workout" and the "I am exhausted and need to take it easy." Pushing your body way beyond what it can handle can set you back even further. The more in tune you become with your body, the better you will be able to tell what it is saying to you. Check out #5 of the Planner list above for tips on how to respect your body's need to recover. #5 Assign a specific task to have a complementary T-Tapp move, so that you create the habit…..by accident! For example, I once decided that every time I walked into the basement to get something out of our downstairs freezer and storage room, I would do 8 reps of the Plie Jumping Jack Move. By the end of the day, I had done 5 sets without even realizing it! #6 Do you need someone to be accountable to for your personal goals, with whom you can share your plans an aspirations? Find someone! And if you can't, email me, and I will be your support! A lot of times, the need for accountability can come down to the individuals' personality. One of my clients does hoedowns anytime she is waiting on water to boil, the laundry to dry, or any other time she would normally be waiting on something. Kids in the bathtub? Hoedowns in front of the tub! Hey, it also doubles as entertainment for the kids! It works better for her personality to do moves throughout the day, rather than marking down that she needs to do a specific move/workout at a specific time. On the flip side, I have another client that needs me to write down exactly what she wants me to do each day, in between our sessions together. She knows she will be accountable to me next time we meet! Realize what your needs are, and take steps toward creating an environment that will support you. #7 Check out this file with tips for making a quick T-Tapp workout, anytime, anywhere! You can use your smartphone, tablet or computer to access these videos on YouTube. T-Tapp Online Moves . If you like learning new moves that take a few minutes to do, head on over to the T-Tapp YouTube Channel for lots of video clips, many of which are under 5 minutes! You could do one after breakfast, lunch and dinner to link it up with something you are already in the habit of doing . My next post will be all about MOTIVATION! How to get it, how to harness it, and how to make it work for you! Until then, tell me: what ways do YOU create consistency in your T-Tapp routine? Brain-Body Fitness: Can You Activate More Muscles By Thinking About Them? Did you know that there is actual, scientific proof that you can recruit more muscles- getting better results and more brain-body muscle activation- just by THINKING about it? It sounds crazy, I know. The connection of our brain to body, mind to muscle matters so much to the health of our entire body as well as the optimal function of our muscles. The brain, nervous system, spine, and muscles- they are ALL connected! The study I came across that proves this point was done by Prof. Brian Clark, at Ohio University's Heritage College of Osteopathic Medicine. As part of the study, 29 participants had their hands wrapped up (essentially, immobilized) in a surgical cast for a whole month. During this month long period, half the participants spent time--5 days a week--sitting still and "performing mental imagery of strong muscle contractions," i.e. thinking about flexing the muscles in their immobile wrists. To their surprise, once the casts were removed, the participants that did the brain-body visualizations had wrist muscles that were two times stronger than the participants that had done no visualization work at all. It also appeared that the participants that performed the visualizations also had better connectivity with those muscles after the casts were removed. Isn't that AMAZING?! I get excited over studies like this not because I want to be able to visualize my way to a stronger, more capable body (though, wouldn't that be nice?) but because that is how I train, and that is how I teach exercise. Mind-to-Muscle, ALL the way! It is further proof (as if we needed any more) that Teresa Tapp is once again WAY ahead of the curve. So many of us tend to exercise mindlessly, not really thinking about how we are moving in space. This was how I used to be! Just gotta get that workout DONE and "checked off the list," right? As a T-Tapp Workout Trainer, I love teaching people this Brain-Body method of muscle activation. Correct cuing and visualization is a crucial aspect to my student's success, and as such I often remind them where they are supposed to FEEL it and how to activate muscles from the inside-out. Starting the moves slowly allows the brain to catch up to what the body is doing, and further ramps up the muscle fibers being recruited. After all, a single move from a T-Tapp workout is equally activating 5-7 different muscles at a time, while requiring no weights or equipment! In case you've ever wondered, that's why there is NO music with a T-Tapp workout! There is just SO much brain-body connectivity going on, and it requires your full attention! And when you're thinking about what muscles you're activating and how you are moving your body and where you are "feeling it," what is the result? More brain-body connection, better neurokinetic flow, and better muscle activation overall. The workouts themselves may LOOK simple, but as I have explained, there is much more going on than meets the eye! With regards to our fitness and our health, the mind & the body--and, more specifically, how they synergistically work together--matters immensely. Our nerves are the messengers from the brain to our body. If the signaling is being cut off or is garbled, like a crackling radio picking up incomplete signals, the message just won't get to the muscles. Poor signaling can mean little muscle activation in your workout. You could also have imbalanced muscle activation, where one side of the body or muscle group bears the brunt and stress of the movement while the other side grows weaker and weaker. Many times we aren't aware of the imbalance until years later, when an injury occurs. This is why getting all the muscles firing (activating) synergistically is very important. Having a well-established brain-body connection can even help improve your outcome going into an accident or injury. If you already have those neural pathways clearly carved out in the brain, this helps your body reconnect and bounce back even quicker after an accident. Muscle memory to the rescue! Because the more muscles you can recruit, the more power you have in your workouts, the better strength you will build, and the more glucose you'll burn as a result. And, if you're doing T-Tapp, you are also getting better coordination by systematically crossing the left/right brain meridians. What's not to love? As we age, the brain-body connection can become weaker, with coordination becoming an issue, leading to slips, falls, and trouble balancing. This, combined with the fact that we tend to lose some of our precious muscle mass as we age (sarcopenia), can leave an individual feeling frail and weak, unable to do the things they used to do. And yet, we simply accept this as our "fate." The end result of a lifetime of imbalanced muscles, improper alignment, poor body awareness, and, of course, weakened brain-body connection is exactly what we are seeing displayed to us as the norm for the "aging process" in our culture today. How can we reclaim our fitness if we already feel discouraged by pain? The great thing about T-Tapp is the workouts can work for everyone, regardless of age or fitness level. Low impact, no jumping, no equipment, etc. Take Berei Brandenstein, pictured below, age 89. Several years ago, she had a heart attack caused from complications to medications she was on at the time. She credits T-Tapp for so much more than just her rehabilitation, inch loss and better posture! In fact, not only has she been able to go off of all her medications, she was also able to improve the bone density in her lower back by 15 % (one of the most difficult places to gain bone density), just by harnessing the bone-building power of T-Tapp! Yes, you CAN gain bone density without having to use weights. In my opinion, T-Tapp is 50% physical effort, and 50% translating external cues to internal muscle activation. The encouraging thing about this is that no matter how poor your coordination is, how imbalanced your body feels, how old you are, how young you are, or how shaky your brain-body connection is right now, I can promise you it WILL improve with mindful practice. Below are just a few of my FAVORITE T-Tapp Workouts. Click the picture to see a description! All of the ones on the bottom row are digital, meaning you could get started with T-Tapp right now! No need to wait for your DVD to come in the mail! Our bodies and brains are intertwined more closely than we could possibly imagine. Exercise is an important factor in our health and wellness journeys, but it doesn't have to be confusing, intimidating, or overly difficult. It can even be FUN, if we let it! Here's to working smarter, not harder, with T-Tapp! What is Fascia? And Why Is It So Important? Well, not exactly what I was looking for! Do a Google search for “Quotes about fascia” and you get construction websites talking about quotes for providing the above mentioned product. First: What IS this stuff called "Fascia?" "Fascia is a specialized system of the body that has an appearance similar to a spider's web or a sweater. Fascia is very densely woven, covering and interpenetrating every muscle, bone, nerve, artery and vein, as well as, all of our internal organs including the heart, lungs, brain and spinal cord. The most interesting aspect of the fascial system is that it is not just a system of separate coverings. It is actually one continuous structure that exists from head to toe without interruption. In this way you can begin to see that each part of the entire body is connected to every other part by the fascia, like the yarn in a sweater. Trauma, inflammatory responses, and/or surgical procedures create Myofascial restrictions that can produce tensile pressures of approximately 2,000 pounds per square inch on pain sensitive structures that do not show up in many of the standard tests (x-rays, myelograms, CAT scans, electromyography, etc.) A high percentage of people suffering with pain and/or lack of motion may be having fascial problems, but are not diagnosed." Thanks to this network of interconnected fascia, your brain does not compute movements in terms of biceps and deltoids, pecs and traps. Instead, the brain creates movements in terms of large fascial junctions and individual motor skills. In reality, we have ONE muscle and it hangs around in 600 or more pockets of, you guessed it, FASCIA. Muscles do not attach to bone. They attach to Fascia. The movement of the muscles pulls on the fascia, and the fascia is attached to the tendons, which attaches to the periosteum. The periosteum then pulls on the bone. As anyone with a fitness background knows that muscles have an origin and an insertion (sometimes, multiple origins!) Since muscles do not attach to bone, and attach instead to Fascia, the Fascia will distribute strain laterally to neighboring structures. The strain or pull at one end of the muscle is not necessarily taken by the insertion on the other end. For example, not all of the strain of a hamstring curl is distributed to just the hamstrings, it can be transferred over to neighboring structures. The white streaks and pure white stuff is all fascia! If you experience physical trauma, scarring, inflammation, and even emotional trauma, the fascia can become tight or restricted and become a source of ongoing tension from the rest of the body. Changes to the fascial network caused by trauma from a car accident, injury, poor exercise form, surgery, or habitual poor posture can directly influence how we feel, how we perform, and our ability to activate our muscles. As the picture below shows, even your feet are and hands are riddled with fascia! I mean, think about what a beating our feet take on a daily basis- no wonder plantar fasciitis and fallen arches are cropping up all over! Whether you are a weekend warrior, lifelong exerciser, athlete, pilates gal, weightlifter, or yogi, this next bit will be of interest you. As it relates to exercise, our fascia can become "jacked up" and become tight, restricting the performance of the muscles underneath. If you do high intensity workouts like running or lifting heavy weights with improper form, this will definitely cause your fascia to clamp down to protect the muscle underneath. Furthermore, if you do those workouts with any kind of alignment issue, such as a posterior pelvic tilt, hip jam, muscle imbalance, or shoulder impingement, that will also throw the body out of proper alignment and can be damaging to your whole fascia system. Chronic pain, frequent injury, inability to hold a chiropractic adjustment, lack of flexibility and decreased range of motion are just a few of the symptoms of jacked-up fascia. Also, when fascia is tight, it restricts the ability of the nerves to signal properly. Nerves are the messengers that send signals from the brain to the muscles. When the signal is disrupted or gets choked out by tight fascia, the muscle output is lessened, and you can't get as much out of your workouts. Fascia can also encase the muscles, not allowing the muscle "cuts" to show through. Furthermore, your muscles can become so encased with fascia that it can restrict or limit the size of muscle growth! Fascia networks of the shoulder girdle, trapezius, pectoral muscles, and biceps. This is all well and good, but how do you go about restoring healthy fascia function-without creating further imbalance? I haven’t found anything that my body likes and responds to better than Mind-Body fitness with a focus on Fascia (aka: the T-Tapp method.) Not only have I personally experienced the benefits, as a trainer I've seen others rehabilitate and transform their bodies using the techniques. Here is a preview of the T-Tapp First Steps Fascia Fitness workout. It may LOOK easy, but give it a try and you will quickly find that it is much harder than it looks! There is even more focus on fascia, body alignment, symmetry, and maximized muscle activation. To me- and many others- T-Tapp is THE Fascia workout, and is the only of its kind. No contest. It was created with the health of your fascia in mind, and it is a pioneer in the field of fascia fitness. Not only does it equally and synergistically activate the muscles while teaching alignment and proper form, it stretches and works the fascial junctions & the fascia layers like no other. This allows you to get the most out of the time you spend exercising! So, what happens when you work towards the restoration of healthy fascia? Causes muscles to fire harder and more effectively. Opens up fascia to allow full nerve signaling by the brain. Allows those cuts you’ve worked so hard to create to become visible. Improved flexibility and thus injury prevention. Healthy fascia is just one reason I decided to become a T-Tapp trainer. There are so many other benefits, and you can read about some of them here and here. I know lots of folks who use the T-Tapp workout along with their regular workout routines. Adding it in promotes healthy fascia while balancing muscle imbalances, correcting habitually bad posture, rehabbing the knees and joints- all of which helps you perform at the top of your game. It also teaches you techniques that you can apply in any area of your life, whether you are a powerlifter or a powerwalker. As for me, T-Tapp is pretty much all I do with the exception of a hike or walk outdoors. Yet, if I get the hankering, I can still go into a gym and comfortably deadlift 1.5 x my bodyweight....and not be sore the next day. Dense, balanced muscles are ready for anything! Teresa Tapp working out with former NFL Wide Receiver Michael Clayton. Recently released T-Tapp workouts are now available for web streaming, anywhere, anytime! Our bodies are designed in such a beautiful, intricate way. I am passionate about helping others work with their body to achieve optimal fitness and live life pain free- without the use of medication or invasive techniques. Feel free to contact me for information on T-Tapp and how it can help you- regardless of age or fitness level! Thomas W. Findley, MD, PhD, “Fascia Research From a Clinician/Scientist’s Perspective,” International Journal of Therapeutic Massage and Bodywork, (2011). 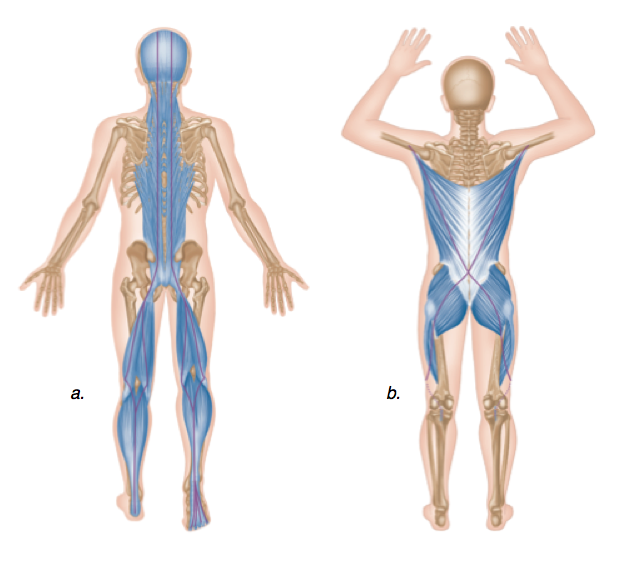 Robert Schleip et al., Fascia: The Tensional Network of the Human Body (Elsevier, 2012), 77. Kombucha- that drink with the funny name- is popping up all over, even my local Wal-Mart has taken to carrying it in their produce section. Why drink this delightfully fizzy drink? It boosts your energy and mood with B vitamins, gently detoxifies the body thanks to the glucuronic + glucaric acid, and aids digestion with organic enzymes. It also boots immunity thanks to the bio-available gut-friendly probiotics and contains acetic acid, which aids in a speedy metabolism. Not to mention, when it is made correctly, it is absolutely DELICIOUS- and who doesn't love something both delicious and nutritious? Save the occasional sale, the regular price per 16 oz. bottle can range anywhere from $3-7 each. That's pricey, especially if you have a family or like to drink more than one per day (like me, for example.) Add to that the fact that some brands you buy at the store are pasteurized, which destroys the fabulous enzymes and organic acids that make Kombucha so beneficial. "Yeah, Margaret," you say, "Kombucha sounds great and all, but I can't afford it!" Can you afford some white sugar & black tea? Oh wait....you already have some in the pantry? How about $7 for a kombucha scoby that can last for years? Do you have an extra 10 minutes..... per week? Then you can very easily make it at home, saving money AND getting healthier at the same time. I have had many trial and error runs of Kombucha- from a batch that was much too funky/vinegary to batches that didn't even carbonate properly and tasted "flat." Try as I might, I was NEVER able to get it "just right" and as such, didn't enjoy drinking the Kombucha I made. All of that striving led me to perfect the method which I use now- the art of the double ferment. It takes a little more time, but is well worth it to get Kombucha that is fizzier and more delicious than store bought. too little time, and the tea won't be fermented enough, forget about it for a month and it won't fizz properly. This is an area where you may need to experiment a little bit, as everyone's home and environment is different. Don't let this intimidate you, though! When it comes down to it, the kombucha is ready when YOU like the taste. You're the main person that will be drinking it, right? Kombucha ferments the very best between 65-75 degrees fahrenheit. Typically, the warmer the environment, the faster the kombucha will ferment. If your house gets little sunlight and tends to be cold, or it's the dead of winter and you heat with a woodstove, you may want to wait and start in the spring/summer. It will still "work" to some degree, but it will take much MUCH longer, and you may not get the fizzy-ness you so crave. This somewhat unattractive Kombucha mushroom (most commonly known as a SCOBY- Symbiotic Culture Of Bacteria and Yeast) is what transforms the sweet tea mixture into the health tonic that is Kombucha. Most kombuchas feed off of sugar and black tea, but a Jun Kombucha Mushroom feeds off of Green Tea and Honey. The recipes I am presenting to you are for both varieties. Kombucha Kamp & Amazon both sell SCOBYS as do Cultures for Health If you get a bad mushroom, you will not have good kombucha. Period. Make sure you trust your source. If you do not have a mushroom or are starting one for the first time, I recommend following the instructions that come with the mushroom you choose to purchase BEFORE moving to the recipes listed below. It can be a little different, and the first batch sometimes calls for more sugar to feed the SCOBY to help it grow larger. Some folks are leery of Kombucha due to the "alcohol content." While yes, Kombucha can contain very small amounts of alcohol, it is usually around 0.5% or less, unless you are doing something else nefarious with it. In fact, the 0.5% alcohol sometimes seen in Kombucha is comparable to the alcohol content of an over-ripe banana. No one I know has been buzzed from a banana. That being said, I've heard that in some places highly-alcoholic Kombucha is sometimes sold in a different section of the store and requires ID for purchase. ** a note on sugar- do NOT be afraid of it here. The sugar is the magic fuel for the SCOBY. You give it sugar, it gives you B vitamins, organic acids, and detoxifying agents. Pretty good trade, huh? You will notice that I have you divide up the water in 2 parts- boiling, and cold. This is intentional, as waiting hours for 8 cups of boiling hot tea to cool down on the counter is not only annoying, if you are at all impatient and don't wait long enough for the tea to cool, you can cause your SCOBY to die. When waiting for it to cool down, other things can and have happened to me, like a fly making a fatal crash landing in it or just forgetting about it altogether. This waiting period can be easily expedited by concentrating the tea and sugar in the 4 cups boiling water and then adding the rest of the cold water in afterwards. Just a time and frustration-saving tip I have learned by trial and error! Heat half of the water in a clean kettle or saucepan until boiling. Pour it into your gallon glass jar, and add the tea or tea bags. Allow to steep- 5-8 minutes until dark for black tea, steep 3-4 minutes for green tea. Then remove tea bags. If using black tea, now's the time to stir in the sugar with a whisk. Add the other half of the water into your fermentation vessel and stir. Allow to cool. Once this tea mixture reaches 65-75 degrees, as measured by your thermometer, you can now add the honey in (if making the green tea option) and whisk to combine. Once the tea is at optimal temperature, and the sweeteners mixed in, pour in the 1/2-1 cup of tea from a previous batch and whisk vigorously. SCOBYs like oxygen, so oxygenate that tea using your whisk! Also, take a small taste of your tea mixture from a spoon. This will give you an idea of what your baseline is for the tea. It should be sweet but have a sourness to it as well. Now, you can gently plop in your SCOBY. Cover the top of the container with cheesecloth and secure with twine or a rubber band. Next, all you have to do is put it in a warm place out of direct sunlight and wait 5-7 days for the mushroom to do its magic work! It can take less time if it's warm, more time if it's cooler. You'll know it is working when you can see the tea start to change color, tiny strands of weblike cultures beginning to form (like the ones you see in raw apple cider vinegar) the mushroom beginning to form a new layer, and maybe even little bubbles from the fermentation all around your SCOBY. Once it's fermented and you like the taste, it's time to move to the Second ferment! This is where the real magic starts to happen. Juices: Apple, Blueberry, Guava, Cherry, Pomegranate, Grape, Cranberry, Lime, Lemon, Raspberry, etc. Whole blueberries, chopped cherries, strawberries, etc. Remove the SCOBY from the glass jar with clean hands, placing on a clean glass container. Pour the kombucha into the pitcher or container with a spout. If you are serving picky eaters (er, drinkers) who are skittish of the strands of culture, just strain out the bits you don't like the look of. No biggie. Just remember to save at least 1 cup of this tea to use in your next batch. Pick your add-ins, and pour/place them in your jars. For juice, I like to fill the bottle approx 1/5 full of the juice- the amount of juice you add will depend on your taste, which you will develop as you continue to make it. Now fill the rest of the bottle with the kombucha liquid until it is approx 1 inch from the top You can really go crazy here with flavors- each bottle can be different! Next, seal up the bottles with the flip top and let them sit at room temp to ferment into fizzy, delicious Kombucha Soda. The fizziness intensifies due to the fruit sugars being eaten up and subsequently fermented by your Kombucha. Depending on the temp of your home, this may take anywhere from 2-3 or 3-5 days. Experiment and see what works best in your house! Personally, I like mine super fizzy so I usually go for 5 days. When you're done bottling your first batch of Kombucha Soda, clean and wash the jar out and follow the First Ferment instructions to get your next round of kombucha brewing! To prevent the remote possibility of a rogue exploding bottle, I put my bottles to ferment in a heavy duty bucket with a lid. An explosion has never happened to me with a fermenting bottle of Kombucha, but it did once with kefir water, another fermented drink. Once it is done fermenting, place in the fridge to chill and halt the fermentation. Enjoy your raw, fizzy, delicious Kombucha Soda! 'Tis the season for treats and holiday parties! In search of a sweet treat that will satisfy your chocolate cravings while nourishing your body? I LOVE fudge. Always have, always will. I developed this recipe to make a delicious, rich, surpremely chocolaty fudge that is a canvas for whatever topping or mix-in you can imagine. The variations can make it suitable for most any allergy or dietary restriction, unless you are allergic to chocolate or coconut. 7.5 ounces dark 70-75% chocolate, bar or chips. If you are avoiding sugar, use 80-90% cacao. If diabetic, use Lily's Chocolate. If strictly dairy free, use Enjoy life Chocolate chips. Mix-ins, if desired: coconut shreds, toasted walnuts, slivered almonds, crushed pistacios, dried cranberries, chopped dried cherries, and/or raisins. Optional: stevia extract, to provide additional sweetness if using super dark chocolate. **Note on coconut milk: don't be afraid of the fats in this...coconut fat is mostly medium chain triglycerides (MCTs) that are more readily used (i.e. burned up) for energy. They also contain a special fat called Lauric Acid, which is extremely healthy and supports the immune system. Start by adding the coconut milk and vanilla extract to a small saucepan on VERY low heat. Next, add the chocolate! If using chocolate bars, break them up into small chunks, watching to be sure it does not stick to the bottom and burn. Add the nut butter and sea salt (if applicable and continuously stir until it all melts together into a smooth mixture. Taste it- if it is not sweet enough, add in a sweetener of choice until it reaches your desired level of fudgy sweetness. Then add your mix ins of choice- see list above for inspiration. You can even put the mix ins on the top, Pour the fudge mixture onto some waxed or parchment paper placed in a glass pan. I recommend an 8x6 glass pan, but if you don’t care how thick it is, you can use an 8x8 pan. Place it in the fridge (or the freezer, if you are in a hurry) until it cools and solidifies together. Cut it up into pieces and store it in a covered container in the fridge or freezer. It gets a little too soft for my taste when kept at room temp. I often eat it right out of the fridge- absolutely delicious! Have we discussed peppermint patties? Chances are, you’ve eaten one before. Maybe even half a bag. But who’s counting? Peppermint Patties always remind me of fall and wintertime. This might be due to the fact that for many years it became a bit of an unspoken tradition for our grandparents to bring a large, deliciously gigantic jar of York peppermint patties with them when they arrived at our home on Christmas Eve. The silver-dollar sized pats of creamy mint and chocolate would rarely last twenty-four hours in our little farmhouse full of kids and adults alike. In fact, you could see the evidence of the enjoyment scattered throughout the house in the form of tiny foil wrappers- red, green or silver- strewn everywhere but in the trashcan where they rightfully belonged. Most peppermint patties have a lot of refined sugar and not much to mention in the way of Nourishment. What if you could make your own patties- at home, without a lot of fancy ingredients- that are not only extremely delicious, but boast a cast of characters that can actually be deemed nourishing, and, dare I say, healthful? Some of you may wish to throw tomatoes at me for suggesting that the words “healthy” and “peppermint pattie” can exist in the same sentence. When I came up with a recipe for healthy Reeses’ cups a few years ago and posted it on a public site, I had a woman attack me rather viciously for even posing the idea of a good-for-you version of the famed candy. It was almost as though, in my suggesting that one could indeed create a healthy version of this treat, I had committed High Treason against Candy, that the very thought itself was a heretical suggestion- one that deserved outrage. It was like I had suggested that the Pope should start wearing a baseball cap for his formal events instead of his traditional Mitre. Of course, on the other end of the spectrum, you have the Purist-Health-Nut group, a category of individuals that looks upon any imitation of regular candies or mainstream snacks as Out of the Question. (I shall not deride this group, as my membership was once in a group similar to the one described above, but my current allegiance lies elsewhere.) They might be just as offended, saying we should stay away from anything at all resembling or recreated to look like refined food- even if the ingredients themselves are quite nourishing. And to the haters of both classes, I say: more for me. And, more for you, if you happen to be reading this and have the five ingredients necessary in order to whip yourself up a batch of patties. This tropical oil has been given a lot of attention over the last few years, and rightly so. This oil, once shunned due to the saturated fat content, has been shown in recent years to promote health in a variety of ways. For one, it contains Medium Chain Fatty Acids (MCFAs.) They are digested very easily by our body and are then sent straight to our liver to use for energy production. Since MCFAs are sent right to the liver for digestion, there is no bile or pancreatic enzymes needed for digestion, which makes coconut oil a healthy food even for those with diabetes or those with gallbladder problems. MCFAs can help increase metabolism since they are sent straight to the liver and give the body an instant boost of energy. Most of the MCFAs in coconut oil are the highly beneficial Lauric Acid. Lauric Acid, a veritable rockstar in the Pantheon of Fat, can help your body lower cholesterol and blood pressure, naturally. It doesn’t increase LDL and helps keep our arteries flexible and can help prevent atherosclerosis. Lauric acid converts to a substance called monolaurin in the body. This monolaurin has been shown to be useful in increasing immunity and fighting viruses and disease. Combined with coconut oil and oregano oil, Lauric Acid has been discovered to be more effective at combating staph bacteria than conventional methods. Coconut oil contains over 40% Lauric Acid, which makes it the richest source available in our food supply. Yes, of course I have to plug the raw honey that is sourced from my families’ farm. I’m admit that I am just a little biased. Honey has a myriad of health benefits, particularly the raw, unfiltered and uncooked honey used in these patties. It boasts vitamins, enzymes, phytonutrients, and benefits for those who suffer from seasonal allergies. It's also a good source of natural carbohydrate, and raw honey is a source of energy that is praised particularly by athletes. There is some evidence that honey was used by athletes in the original Olympic games all the way back in Ancient Greece. (coming soon-Margaret's Top Secret "Gatorade" Recipe for athletes) In short, raw honey fuels your body with the glucose necessary to operate the myriad of functions that keep your body running properly. (chocolate containing 70% Cacao content and up) is loaded with nutrients that can positively affect your health. Made from the seeds of the cocoa tree, it is one of the best sources of antioxidants on the planet. Flavanoids and flavonals, potent plant antioxidants, are very abundant in the cacao bean and studies show that when we consume these foods, their antioxidant power benefits our bodies. Did you know your body NEEDS the right kind of salt in order to function optimally? The right kind of salt, rich in trace minerals that you can actually see- not that highly refined stuff you see in the store that can contribute to hypertension- is what your body really craves. This much-beloved herb has benefits that go well-beyond the pleasant cooling flavor and scent that reminds one of the holiday season. It has been used for thousands of years as a remedy for headaches,muscle pain, dental care- and in more recent centuries, as a yummy flavoring for everything from chewing gum to ice cream to….well, candy. Whip the above ingredients together. Using a piping bag, pipe into rounds on a parchment paper lined cookie sheet. Smooth the top with a damp finger. Stick in the freezer for a few minutes until firm. Note: you can also pipe the mixture into small dots and then you have junior mints. Magical, aye? If you ask the average American what they think a healthy diet consists of, chances are they will mention something involving the reduction of dietary fat intake. People say, “Oh, well a healthy diet means I should eat less fat!” or “It’s been shown that it’s beneficial to eliminate overall fat consumption and choose low fat or fat free products.” This just shows you how ingrained this paradigm is in our culture, the paradigm that says that eating fat will make you fat, but not only that, that it will make you unhealthy. Of course, our food processing companies happily hopped aboard the low fat craze and now there are a plethora of items to choose from in the modern supermarket bearing the catchy, reassuring titles of “Fat Free!” or “Reduced Fat.” Are you on a low fat diet but still want to have your afternoon Oreo break? No problem. We have lowfat Oreos just for you! In an attempt to “slim down” and “cut down on fats,” people will choose the low­fat or fat free processed food items thinking that, by doing so, they are making the healthy choice for their body and their health by cutting out those pesky fats that supposedly cause weight gain and health problems. Unfortunately, this fat phobia has led individuals to think they need only worry about the fat quantity and not the fat quality. So now, not only are individuals vigilant about cutting fat out of their diet, they don’t even give a second thought to the integrity of the fats being ingested. This leads to essential fatty acid deficiencies and the myriad of health difficulties accompanying such a state. When we consume a diet high in sugars, the cumulative effects of these sugars places an undue burden on all of the organs of our blood sugar regulation system that includes the pancreas, adrenals, and the liver. In particular, it wears out our pancreas, as it must continue to secrete more and more insulin in order to bring our blood sugar levels down to normal. Our cells are created with this wonderful innate intelligence. They can sense when they do not need any more glucose, and will down regulate their glucose acceptance. Basically, if th ese tiny cells had arms, they’d cross them and say, “Sorry! No more glucose allowed here!” Here’s an analogy. Let’s say your phone rings. You jump up and look at the caller ID and then see that it’s your daughter. You want to talk to her, and so you take the call. A few minutes later, the phone rings again and you get up, and, judging by the caller ID, you realize it’s a telemarketer. You let it ring out. Then, since the salesperson is a persistent one, the phone rings again later and you look and see that it’sthe same telemarketer. You may roll your eyes this time, and then you let it ring out. You are probably a bit annoyed by now. At dinner, the phone rings again and you say, rather angrily, “That’s it. I’m done with getting the phone!” and you let it ring out and don’ t even bother screening the call, regardless of whether or not it was a call you needed to get. So it is with our cells. Their receptor sites get hit up so many times with the insulin that they eventually won’t respond and they say “NO” and refuse to take in any more glucose, no matter how many times they are asked. Insulin resistance starts in the liver, then moves to the next glycogen storage center, the muscles, and finally reaches the fat cells. It’s as if the little glucose molecules are travelers looking for a place to stay for the time being. They hop over to the liver, no vacancy. Then the muscles, and again, they are turned down, no room there either. Finally, as a last resort, the glucose molecules find a place in the fat cells, into which they take up residence. The next sentence just might just frighten you out of your next donut. If you are in this state of insulin resistance, anything you eat will go into fat storage, because that excess glucose produced by the food you are eating has nowhere to go. Normally, it would enter the cells, supplying energy to your body. With insulin resistance, there is an abundance of energy (glucose) in the bloodstream from the amount of sugars and carbs being ingested, but it cannot get burned for energy because the cell will not let any more glucose inside. And so, this glucose floats around in our bloodstream, causing abnormally high blood sugar levels in the sufferer. Adding insult to injury, having lots of excess glucose floating around in the blood also causes glycation of the proteins in the bloodstream. Glycation is when these proteins get “sticky” with glucose and they harden and bond together. These AGEs (damaged proteins) have been implicated in many degenerative diseases and have been shown to cause the hardening and irritation of arteries, inflammation of joints, the hardening of cell membranes, and a host of other detrimental effects. Basically, when you are insulin resistant, anything you eat will turn into stored fat, because there is “NO VACANCY” anywhere else in the body for it to go. Insulin resistance often appears in conjunction with other symptoms such as high blood pressure, obesity and high cholesterol. These four symptoms form a condition referred to as Metabolic Syndrome. The flow chart showing the "Vicious Cycle" of Metabolic syndrome. If that’s not shocking enough, consider this: for every 120 calories of fructose consumed, 40 of those calories go directly into fat storage. In our bodies, fat supplies more energy per molecule than glucose. Per molecule, glucose gives us 36 ATP (energy) molecules, while each molecule of Fat gives us 48 molecules of ATP. In addition, processing glucose requires one additional step of preparation before it can be burned for energy, whilst fat has a quicker pathway to energy production. Fat is also the preferred energy source of our cells. If our primary fuel is glucose (i.e. we are “sugar burners”), we cannot burn fat for energy, and we are limited to only glucose. In contrast, if we burn fat for fuel, (i.e. we are “fat burners”), we can have the flexibility of switching, when necessary, to burn glucose for fuel. It is ideal for us to strike a balance between using glucose for fuel and fat (as well as ketones) for fuel. Furthermore, it is shown that eating a bit of fat with our carbs and/or sugars will slow the entry of the sugars into our bloodstream, blunting the inevitable spike in blood sugar that would otherwise occur when eating a food item low in fat and high in glucose and/or sucrose. Remove the fat from the mix and you will have blood sugar levels that skyrocket even faster than if you had consumed fat with your food. So, which is the real enemy to our waistlines and health he re, fat or sugars? Look at the evidence and decide for yourself. Instead of rejecting the fats that have nourished us for thousands of years, it would be much more accurate to say that the blame rests upon these processed ‘foods of commerce’ and their far reaching effects on our health and well being.